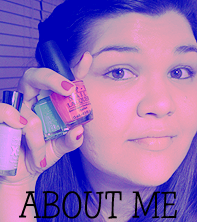 Slightly Nail Polished: Hello and Welcome to my Nail Art Blog! Hello and Welcome to my Nail Art Blog! Nothing much on here yet but I'm working on it. I hope to have aa post out mid-week; around May 1st. The official opening of my blog! I'm planning on having a lot of different nail-related things posted here. Nail Art, Hauls, Swatches, Nail Polish Hits and Misses, cuticle and nail health related items as well as continuing the ABC Challenge I started on my other gallery! It's gonna be so much fun and I can't wait. Until then, please check out my older gallery on deviantArt (Cowboy-Slightly). :) If you like what you see, please come back and subscribe. Thank you for coming and I hope to see you soon!